Origin of Name: The majestic Dobermann gets its name from its creator Herr Karl Friedrich Louis Dobermann, a tax collector in Germany by profession. 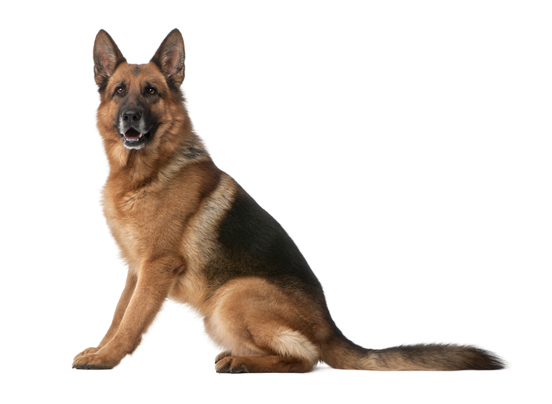 He created a dog that was the perfect guard dog, which has a strong mouth, an excellent nose and phenomenal courage. 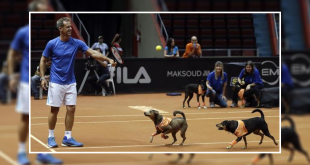 An athletic body, sharp ears and high agility, a Doberman Pinscher or Dobermann as it is commonly known is a relatively new breed on the block. 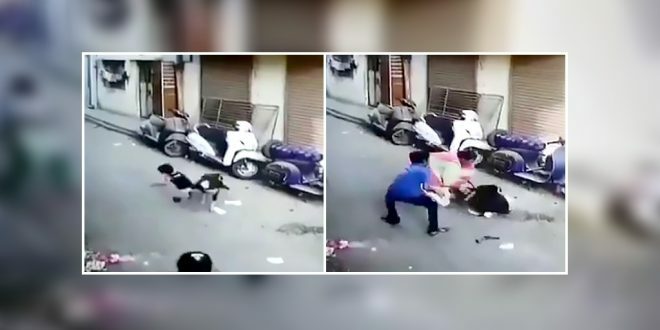 Historically known as the dog breed for the tax collectors, Doberman Pinschers have earned the reputation of being the most dangerous dogs in the canine world. 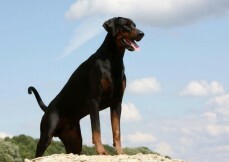 A Doberman’s reputation is known to precede it. 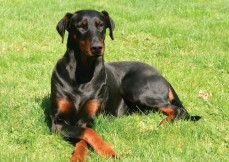 Dobermann Pinschers have been bred to be not only excellent working dogs but also wonderful pets. 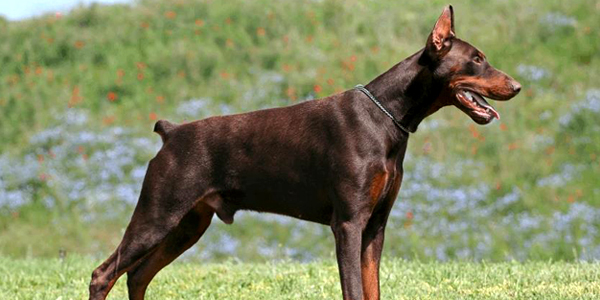 Dobermanns are respected the world over for their strength, ferociousness, intelligence, fearlessness and undying loyalty to their family. 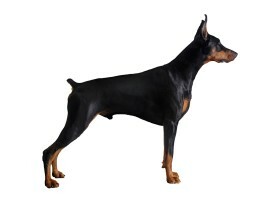 When one thinks of a Doberman Pinscher, the most distinguishing feature is the powerful and muscular body. 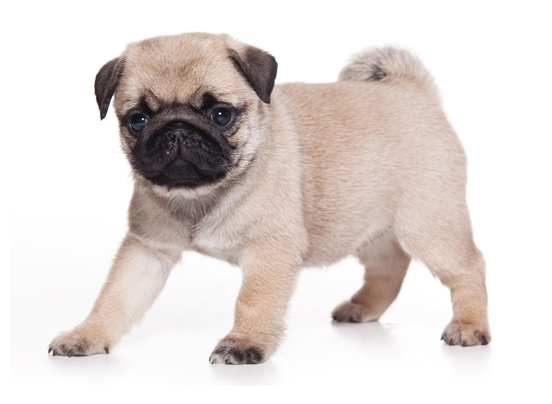 Their athletic body is built for speed and endurance giving giving them a ferocious yet elegant appearance. 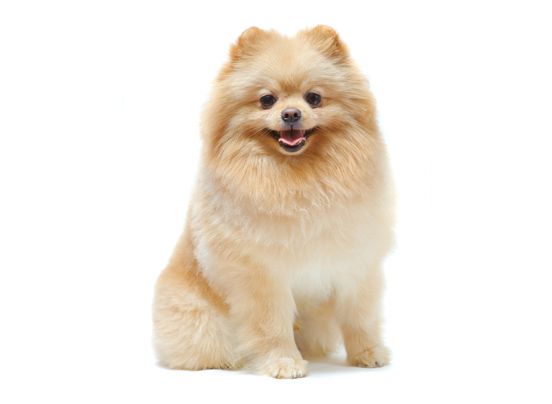 Another unique feature is the powerful wedge shaped head that gives it a strong profile. 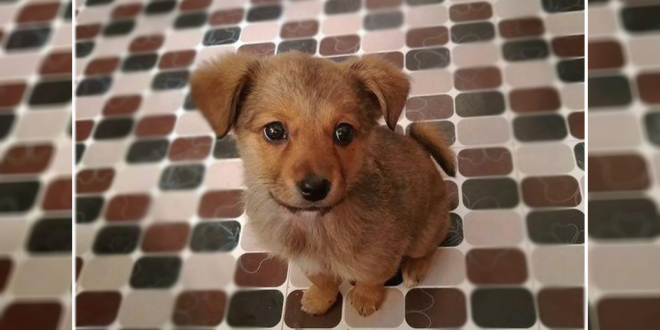 The other unique feature is the strongly developed wide scissors teeth bite that attributes to the dog’s ferocious look. 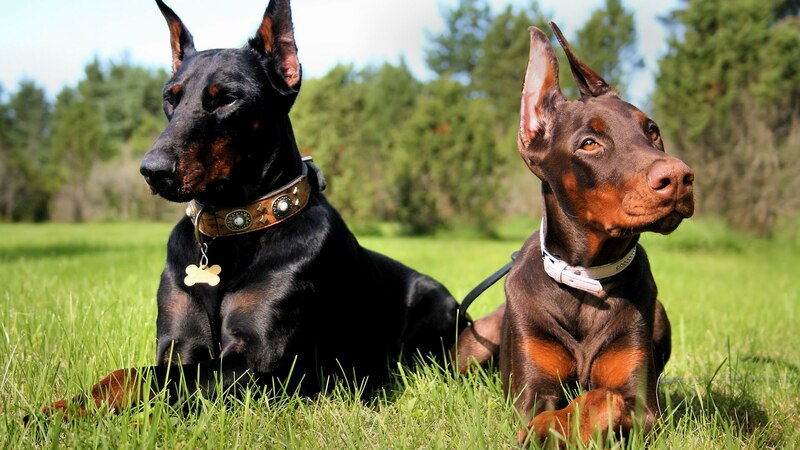 Doberman Pinschers are one of the most intelligent and active dog breeds in the world. 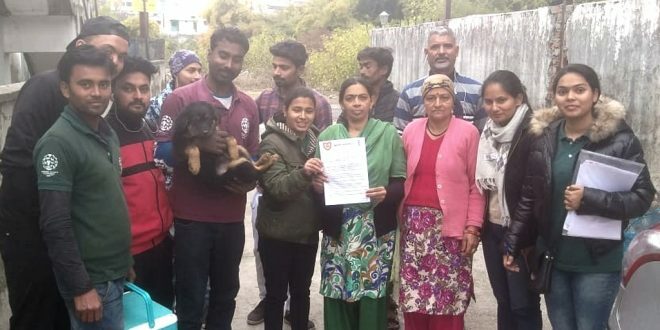 They are high on stamina and strength and love to stay with their family. 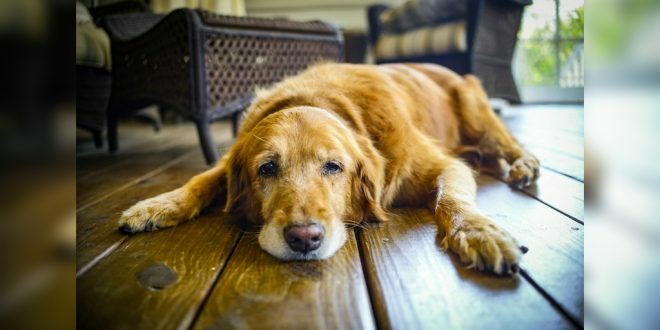 Pet parents to a Doberman Pinscher will have to understand that their Doberman does not like to be left alone for long hours and that he / she will require a schedule that keeps them engaged mentally and physically. 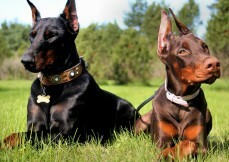 Doberman Pinschers are one of the most versatile dogs in the canine world. Extremely loyal, intelligent, adaptable, skilled and blessed with a strong protective instinct. 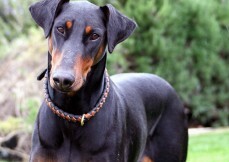 Doberman Pinschers have been known as the 5th smartest dogs in the canine world. 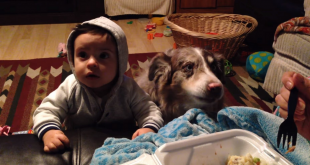 Their high intelligence makes them extremely easy dogs to train. 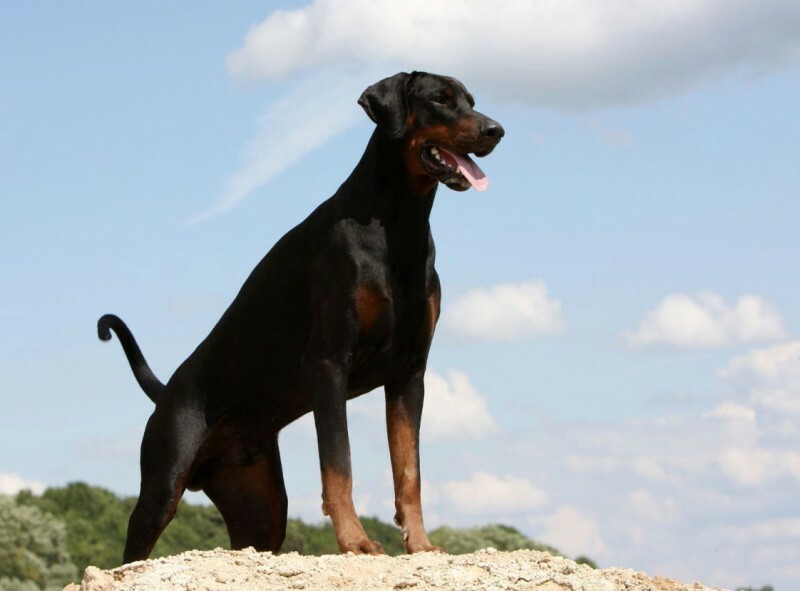 It is due to their high intelligence levels and fierce loyalty that armed forces, police force, search & rescue teams and even guard teams prefer Doberman Pinschers over any other dog breed. 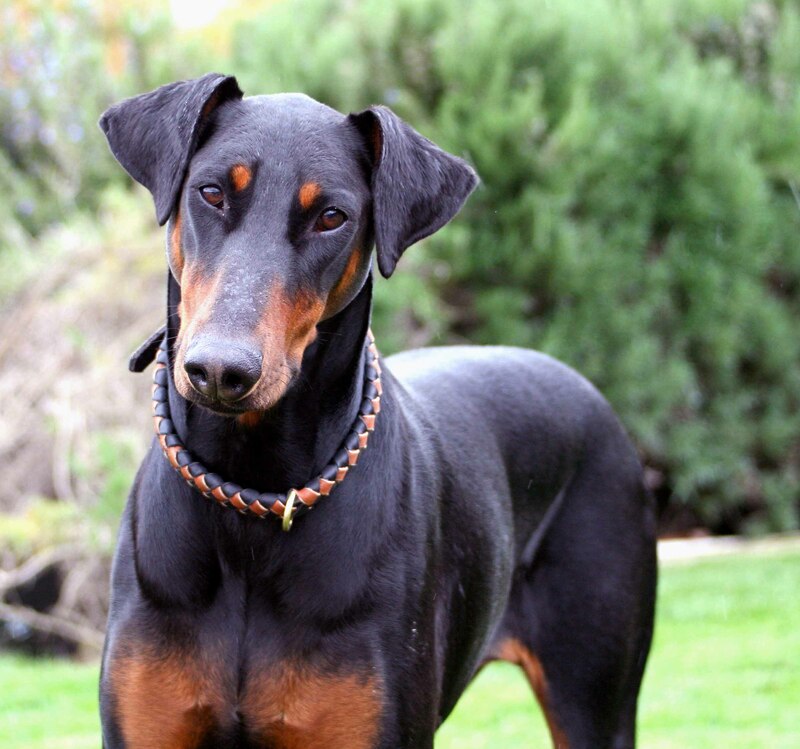 When trained and socialised early on, Doberman Pinschers make wonderful family companions. 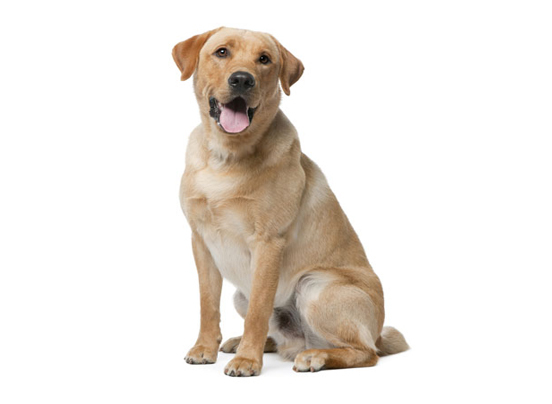 Dog Breeds Database Reference: Dogbreedinfo.com, dogtime.com, dogspot.in, akc.org.